After a thoughtful process in response to a Davar Torah by Rev. 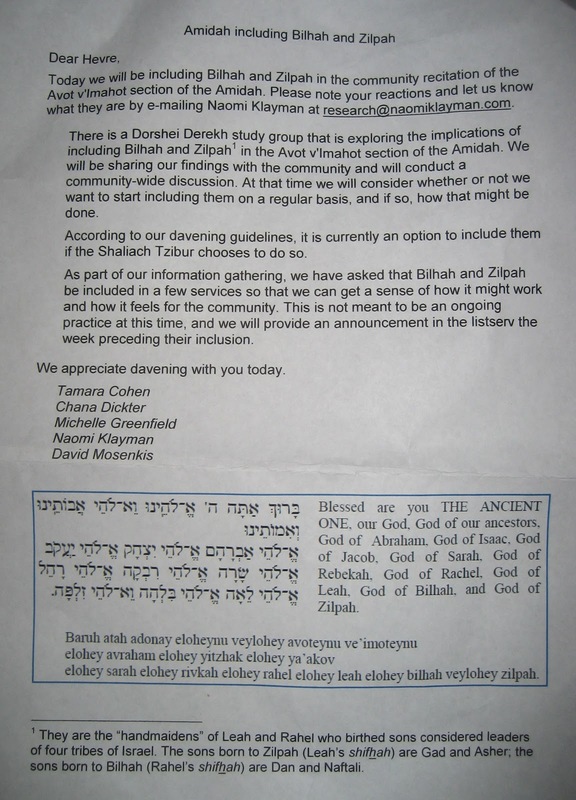 Will Gaffney, Minyan Dorshei Derekh has begun an experimental phase of including our two additional matriarchs, Bilhah and Zilpah. Inclusion is the option of the shaliach tsibur. Click on the image to read it in a larger size.